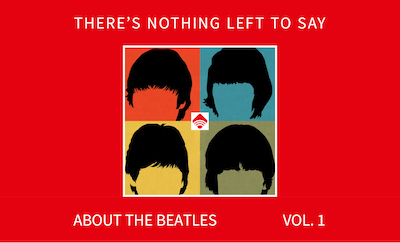 The Beatles eponymous 1968 album, a.k.a. The White Album, received a new remix for its 50th anniversary courtesy of Giles Martin and engineer Sam Okell. While some purists believe that the band’s catalog should be untouched in order to present what the group wanted, I disagree. Although the remixes are now the “official” mixes when it comes to radio play — whether it’s on terrestrial radio or the Beatles own XM channel — we will always have the original versions to listen to and to reference. At this point, the argument is moot as the Beatles records have been remixed countless time including the 1987 CD releases of Help! and Rubber Soul, the Yellow Submarine songtrack, Love, The Beatles 1, and as of last year Sgt. Pepper’s Lonely Hearts Club Band. This is familiar ground and I can only hope that once they release the inevitable remixes of Abbey Road and Let It Be, that they’ll return to their catalog and tackle all of the other albums in stereo and 5.1 sound. But for now, we’re going to discuss the merits of the new White Album mix and the elements that have appeared, and in some cases disappeared, in the 2018 remixes. Since there’s so much to discuss we’re going to start with the first album only in our two-part series. • “Back in the U.S.S.R.” opens the album and what is incredibly striking is how you can now hear the buildup of guitars and piano before the vocals enter much more clearly at twelve seconds in. The panning of instruments demonstrates the myriad layers that make up the track making it the first of many songs to have a number of overdubs (contrary to how many view the album). The piano is also highlighted this time and Paul McCartney’s vocals on the outro are brought to the fore, a particular treat at 2:29. • “Dear Prudence” is an entirely different experience. From the first note with John Lennon’s finger-picked guitar swirling around the stereo spectrum rather than being exiled to the left channel prior to a clumsy entrance in the right channel when the vocals begin. Also, the last few notes of McCartney’s bass line (3:36) pop out in a way they never did before. • One of my favorite things about “Glass Onion” is even more so now: George Martin’s score for violins and cellos. The difference is most evident on the second B section (0:49). For the first time, the cello part really stands out rather than blending into oblivion with the violins. But where is the higher pitched scream at the end of the bridge (1:14)? That, frankly, is sorely missed. • The most remarkable thing about the remix of “Ob-La-Di, Ob-La-Da” is that I heard a part that I never knew existed when I first heard the center channel of the 5.1 mix. Not only does McCartney play a bubbling bass line on the track, he doubles it with a slightly distorted acoustic guitar perfectly. Also, listen for the sound of someone humming after the fade of the last piano chord (which by the way sounds way more “jangly” than it did in the original). • The oscillation on the guitars on “Wild Honey Pie” seem wilder than in the earlier version with each vocal part now more distinct and that much weirder. Need proof? Check 0:48 where one part in the left channel drops out and a new part in the right appears. • The acoustic guitars on “The Continuing Story of Bungalow Bill” are way more detailed so they drive the song like never before. Chris Thomas’s Mellotron is also much clearer, especially the mandolins, but unfortunately, the Mellotron flamenco guitar intro is a bit softer this time around. • While the acoustic guitar in “While My Guitar Gently Weeps” is brighter and more pronounced (a good thing), the organ is mixed further back and loses some impact (a bad thing). It is a treat however to hear louder moaning vocals before Clapton’s solo (1:56) as well as during the outro (3:41). It’s also nice to hear McCartney’s last piano lick so clearly (4:40). • Interestingly Lennon’s finger-picked guitar part in “Happiness Is a Warm Gun” is mixed in a way that it is both softer and less spacious here — as if it used to be in stereo and now it’s in mono. The overdubbed organ part (more apparent previously) is completely lost in the intro as well. The bass and drums, however, come in a bar earlier, something I never would have expected. There is also a smoother transition into the second part of the song (0:44) and the lead guitar in this section sounds as if the phasing is more extreme. McCartney’s vocals are louder during this section, but the guitars seemed a bit buried. The piano on the third section also seems to get lost as do the low background vocals, something that is bound to happen when the panning isn’t as extreme. • The piano in “Martha My Dear” is much thicker and warmer than the original while the vocals have a presence that is striking. Certain words pop out that that were never as apparent, like the “for” in the line “for each other” (1:12) and the “you” in the line “you silly girl” (1:57). The bass also has clarity like never before – you can actually hear the fret noise on the outro. • Speaking of bass, the bass on “I’m So Tired” is so up front and present that I feel like I’m hearing lines for the first time (0:45 and 1:27). The ADT on Lennon’s vocals is somewhat more pronounced but for some reason, the little squeak (or “bleh”) heard after his mumbling at the end of the song has disappeared. • The acoustic guitar on “Blackbird” is so much richer and fuller that it almost sounds like a different instrument. The equalization of the guitar helps to blend it with the vocal creating a very different listening experience. • From the first notes of “Piggies,” you know you’re on new ground. The harpsichord sounds more regal than ever and its blend with the acoustic guitar is more spacious and lively. The pig grunts are more forward as is George Harrison’s vocal. (Listen to the stereo spread on the line “damn good whacking.”) The strings also come alive which gives the song a heft that the original lacked. I particularly like the way the blues lick at 0:55 pops out in the cellos. • The barrel-house piano on “Rocky Raccoon” is so much clearer that it sounds like cotton has been taken out of your ears. The background vocals at 2:52 sound phenomenal, filling out the stereo spectrum graciously and play a much greater role in the mix. The main difference between the original mix and this one is that the different parts sound more unified and the mix is therefore much fuller. You can also hear Ringo Starr’s hi-hat fully close at the end. • The thing that stands out in the new mix of “Why Don’t We Do It in the Road?” is how much rounder and punchier the bass is. The guitar is also panned slightly to the left giving it a separate space from the piano thus making it more present. It is however faded more quickly and therefore we lose a moment of chatter heard on the original stereo mix. • McCartney’s bass vocal has lost a bit of the edge in “I Will” but somehow sits in it better. The percussion is more prominent but the guitar that enters at 0:17 is a bit tinny in comparison to the original. 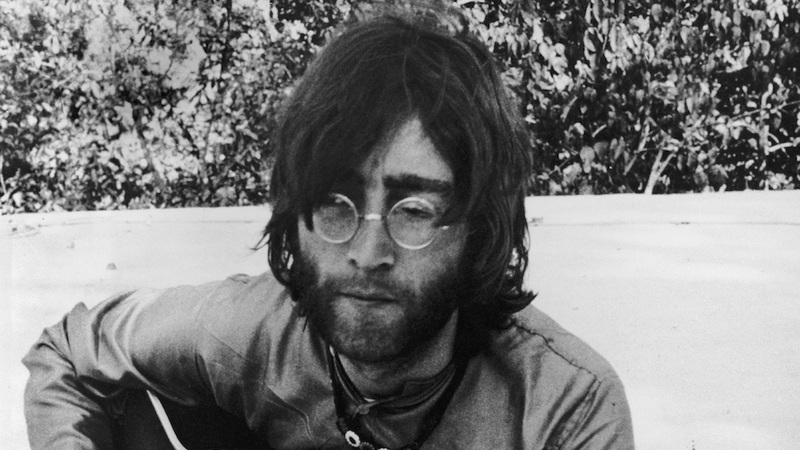 • The vocals of “Julia” are more intimate in the new mix, as are many of Lennon’s vocals on the entire album. Along with an airier sounding guitar we’re given the impression that we are sitting on the floor of EMI’s Studio 2 as Lennon performs this extremely personal song. The vulnerability of his voice and the beauty of his delicate guitar work is more pronounced and the use of the stereo image is gorgeous. Overall I’m thoroughly enjoying the new stereo remix and am particularly fascinated by the 5.1 mix. I felt that Giles Martin’s use of surround sound was too subtle on Beatles 1 and Sgt. Pepper’s Lonely Hearts Club Band, so I was pleasantly surprised to see the back channels being used for horns, strings, keyboards, and other instruments for a fully encompassing surround experience of The White Album. Good stuff Anthony! Can’t wait for Part 2. Also, first handclap missing at beginning of ” Ob-La-Di”. Don’t know why they decided to omit this or the high-pitched harmony scream on “Glass Onion” or the “bleh” between “I’m So Tired” and “Blackbird”. Makes you wonder if these were errors or artistic choices. It might seem nit-picky, but for long-time listeners like myself these things are glaring and detract from the sonic improvements… It’s like an upgraded version of “The Godfather” that says “I’m gonna make him an offer…” and leaves out “he can’t refuse”. C’mon Giles! I believe it’s Nicky Hopkins playing piano on Weeps. I’m not sure if we are listening to the same 50th anniversary White Album remix, but I’m hearing completely different things than what you’ve reported here. Let me first qualify my comments by saying that I’m comparing the 50th anniversary pressing on vinyl to my original pressing from 1968. “Martha My Dear”: the remix sounds unbelievably dull; the sparkle has completely disappeared. Lennon’s driving guitar has been softened beyond recognition. Listening to the remixed version and then immediately putting the original mix of this song reveals how much more full of life the original mix is. McCartney’s voice is much, much clearer on the original, Lennon’s guitar is hard driving (his signature rhythm style). Ringo’s drums are popping, crustal clear and full of sparkle. McCartney’s bass is firmer, goes deeper, and is much less boomy than on the remix. Putting back the remixed version of this song for the second time, you feel like your heart is broken. Where did the Beatles magic go? 2. Ringo’s drums have been completely suffocated for some weird reason — he sounds like he is hitting the pillows, instead of hitting the skins on his drum kit; also, his drums have been pushed deep into the background. Playing the original mix of this song reveals much crisper, firmer sound. Lennon is stabbing his electric guitar chords with all the pent up anger he could muster, and the sound really cuts through. It’s almost like a proto-punk angst. Ringo’s drums are forceful, nasty sounding, and right there, in your face On the original mix the entire song projects a feeling of dread, something that has completely been removed from the remix. Finally, “Happiness Is A Warm Gun”: Spectacularly lousy remix. All the paranoia, all the dread and the uneasy feeling that something just isn’t quite right with the world have been removed in the remix. The menacing, cutting fuzz guitars are no more. Lennon’s acerbic voice has been softened beyond recognition. I don’t have the strength to go into more detailed breakdown of how much they botched this song; suffice it to say that I am convinced that if Lennon was alive today, he’d take Giles Martin to court for ruining his song! You may want to re-check your surround sound system settings.